Golf has been my passion my entire life. From an early age my parents would golf, and my brother and I would go hole by hole, looking for golf balls. When we were older, we were involved in junior golf. Then came many jobs working at the golf course as Shop Assistant, to a position as Food & Beverage Manager. The golf course was our life. During all that time I had a great passion for the game, playing at least 2 rounds a week. Fondly being called "Lefty", the suggestion was frequently made that I was standing on the wrong side of the ball, and this may have contributed to my struggles on the golf course. Yes, we “lefties” take a lot of verbal abuse. However, as the eye disease progressed, it became more and more of a challenge on the golf course. The challenge came when contact was made with the golf ball. I had NO idea where it had gone. This became very frustrating and I had to rely solely on my group to spot my golf ball. As frustrated as I was, I also believed it was a frustration to my fellow golfers to have to spot my ball and their own on every shot. Mentally, this bothered me every-day and it got to the point where I was having no fun. At the end of the 2009 season I was to the point where I wanted to give up the game. Most people get frustrated when they mishit the ball or miss a birdie putt. Yet my frustration came from the challenge of locating my ball. However, my attitude changed the following spring, after the 2010 Masters at Augusta. Of course, I was cheering vigorously for Phil Mickelson. Phil was my favorite player since he made his start on the PGA Tour back in 1991 where he won the Tucson Open as an amateur. Phil was making a great charge for another green jacket. 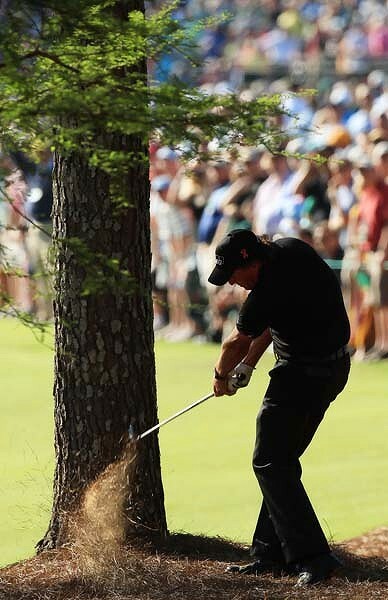 In round 3, Phil hit a stray shot into the trees on #13 at Augusta. In amongst the trees with pine straw underfoot, things weren't looking too promising. However, I had a feeling that Phil would go for it and pull off an amazing shot to save the hole. Well, this was a bit of an understatement, as Phil did indeed go for it. Phil proceeded to not only get it out of the trees, and not only knock it somewhere on the putting surface; he managed to knock it within 3 feet of the pin. Phil went on to win his third green jacket the following day. A third Masters win is something to remember. However, that shot on #13 changed my attitude and my life. It taught me no matter what obstacles you are facing, you should never give up. “Anything is possible”, and that one shot made me focus on playing golf again despite my visual disability. I have not looked back since, no pun intended. I've poured myself back into many club events to compete and I enjoy a weekly game of golf with a great group of guys. They know my condition and assist me on the golf course with every shot. Of course, my shots stray a lot, so they always have their work cut out for them. This situation doesn't bother me anymore. We just have to ask for help when we need it. It's taken me a long time to come to this realization. With the added support and understanding it makes it much easier to get out there and enjoy playing golf again! 2017 Was yet another great experience in blind golf. We had the opportunity to host the 2017 ISPS HANDA Vision Cup here in my hometown of Creston. This was Ryder Cup for the blind and had Team North America taking on Team Rest of World. We had three eventful and tight days of golf. The final result was a tie between both teams. This result allowing Team Rest of World to retain the Vision Cup for the third addition. Had my brother Darcy on the bag and it was great to share this experience with him. However, before the Vision Cup, I attended the 2017 Western Canada in Blind Golf Championships which were hosted in Warman, Saskatchewan. The weather and The Legends Golf Club were fantastic. It was awesome having my cousin Rob Drummond as my guide during this event. Despite not placing in the prizes, I was very happy for our winner, Josh Bailey who not only golfs with partial sight, but also golfs with one arm. Josh played well and was very inspiring to us all! In addition, we had a new player from Alberta join us. Kiefer Jones and his guide/mother, Deb Frey participated in their first event. I also had the privilege to witness Kiefer's best career round of "68". It was a pleasure to witness this awesome display of golf. 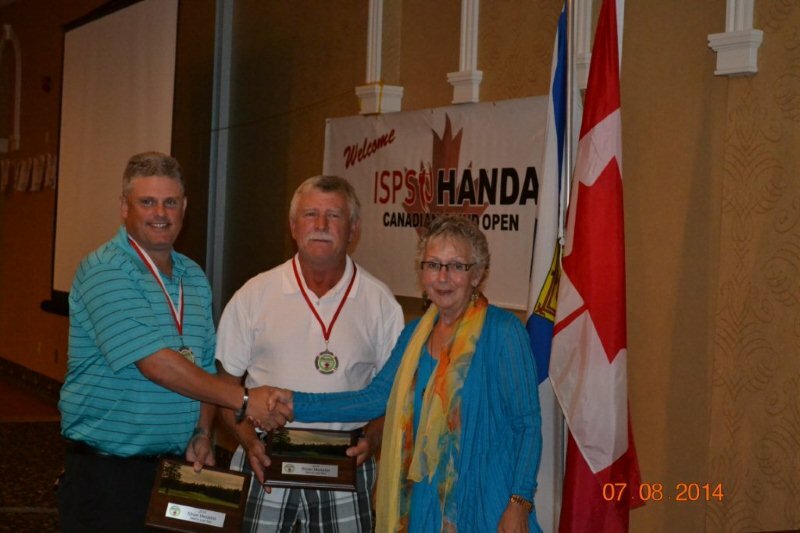 Then in August was the 2017 ISPS HANDA Canadian Blind Golf Championships in Hamilton, Ontario. This was my first time in Ontario and it was an awesome event and trip out there. Great friends took great care of me out in Guelph before the Championships. We also had the opportunity to play a round at the historic Glen Abbey. I was also blessed with another great Guide, David Gurr. We did well with an overall Low Net runner-up on a great challenging course Kings Forest Golf Club. This course was ranked #2 best public golf course in 2017. Every hole was memorable and also very challenging for us. Thankful for great friends and the friendships we build every year we participate in these blind golf events all over Canada and beyond. THANKS TO ALL OUR GUIDES FOR THIER TIME AND COMMITTMENT! "Not to be too melodramatic, but this shot that Phil made on the 13th hole at Augusta in 2010 changed my life forever"
2013 Western Canadian Blind Open-Port Alberni, B.C. 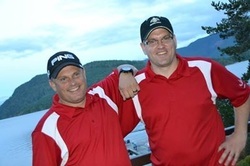 Well, I had the opportunity to play in my first (and not last) ever blind golf competition, the 2013 Western Canadian Blind Open this past August at the Port Alberni Golf Club. This first competitive golf event game me the opportunity to meet and play with many great people. 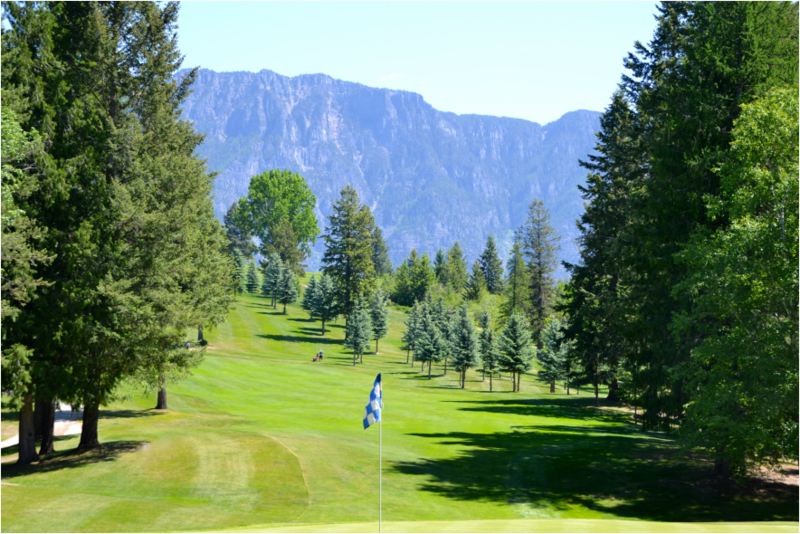 The Port Alberni Golf Club was a very beautiful,but yet challenging golf course. It was also great to experience my first blind golf event with the assistance of my brother, Darcy, who was my sight coach for this event. 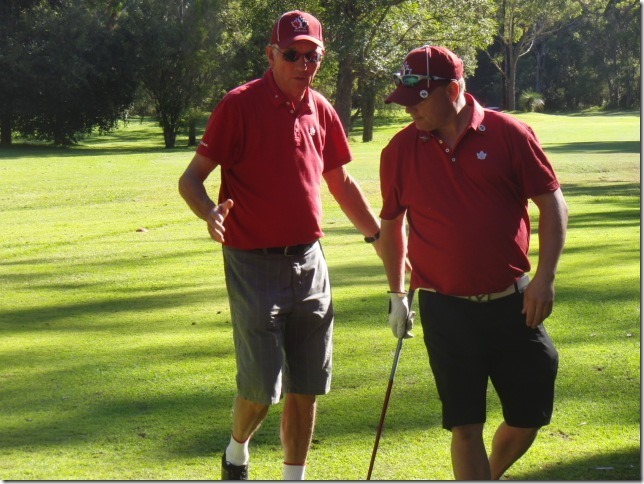 With Darcy’s golf experience, it was very rewarding having him as my sight coach, as he knew my golf game and all my bad habits.At the end of it all, we ended up with First B3 Gross for the tournament. For those that don't know, the B3 category is individuals with some vision (visually impaired). Then the opposite side of the spectrum is the B1 category where individuals have no vision. I had the great privilege of playing with 2 players who were from the B1 category. It was truly amazing to watch how they could play golf. It gave me even more appreciation for the level of vision I have remaining. After seeing first-hand what B1 golfers have to do in order to play golf, It was certainly an attitude changer for sure! This amazing experience is also due to all the many great volunteers from the Lions Club and the Port Alberni Golf Club who dedicated their time and energy in assisting all of us on and off the golf course. The support there was truly amazing and very much appreciated by all. 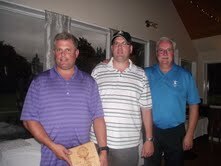 Of course, I thank the organizer and the man who introduced me to blind golf, Mr. Doug Stoutley. Doug hosted an amazing event and made it a memorable experience. Thank you to all of you! 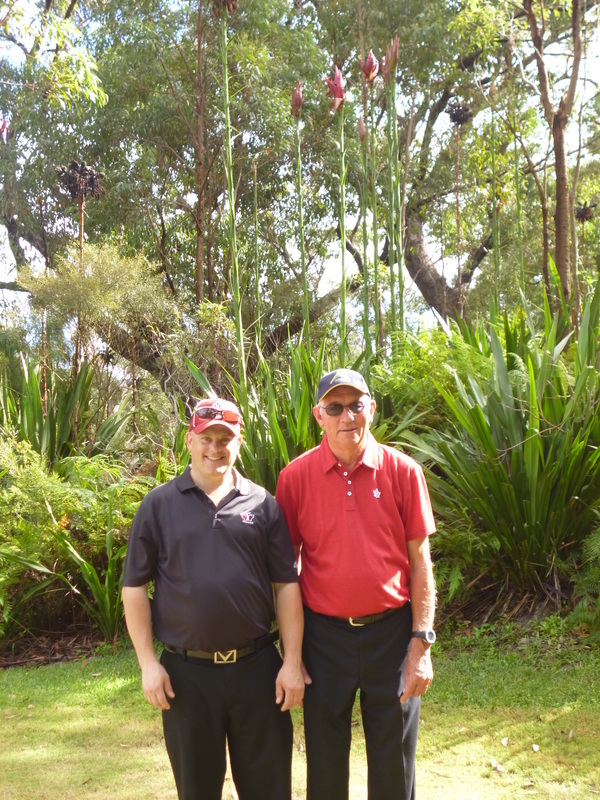 In May, I had the biggest opportunity of my life to go to Australia to represent Canada at the ISPS Handa Australian & World blind golf Championships. Well, it was a very LONG trip, but totally worth every minute of it. It truly a life-time experience. I met so many great people. The Aussies are so very friendly and accommodating. All the members and volunteers at Nelson Bay, NSW put on 2 great events and did an amazing job. As it turns out, the Grounds crew did an amazing job as well, as the members said that the course was in the best shape they had ever seen. Nelson Bay certainly provided us with a challenging golf course for these Championships. I know I certainly found it very challenging. However, I was also blessed with an awesome sight coach at Nelson Bay. Ian Filmer was a HUGE asset to me for 5 rounds of golf. Without his guidance, we would not have had the results we did. So all of our achievements, I can contribute to his coaching abilities. Not only was Ian a great coach, but also a true gentleman and embassador of Nelson Bay and Australia. "Thanks Ian for your hard-work and putting up up with a "molly-dooper". It was also a great experience bonding as a Canadian Contingent in Australia as well. Being still new to blind golf competitions, this was also added to the great experience as well. I had an awesome time with all the Canadians that made the great journey to Australia. In August, I was blessed with yet another great opportunity to compete in my second Canadian Blind Open in Truro, Nova Scotia, at the Mountain Golf & Country Club. Again, everyone was treated royally by the hosts, Pam & Bill Bishop, the staff at the Mountain, and many great volunteers. Again, I was paired with another great sight coach, Donny Lynds. Donny was a HUGE asset to me on this very demanding golf course. As a result, we walked away with some hardware. Not only was Donny a great coach, but also a great host and representative of the Mountain Golf & Country Club. It was great seeing some familiar faces and meeting some new people as well. Also, a HUGE Thank-You to Brian & Joanne Macleod for organizing a great event and for doing this for so many years. You are both awesome people! Thank-You!!!! Darren's brother Darcy made this submission to "SCORE" Magazine's Crown Royal "19th" Hole" page back in 1996 . This story takes "blindness" to a whole new level. year ago when they experienced a blinding time. While playing the ninth hole, Darren hit his approach shot with a wedge to within two feet of the pin. Not noted for his good vision, Darren asked where the ball had ended up. Darcy, who had grown tired of Darren consistently asking for help, turned around to scold his brother. But he stopped short when he saw that the divot from Darren's shot had landed on the brim of his baseball cap and was blocking his vision. Later in the round, with Darren playing terribly, Darcy suggested he continue to play with the divot in front of his eyes.